Back in the 1920s, a film theorist by the name of Sergei Eisenstein wrote: “An idea arises from the collision of independent shots.” He was, of course, talking about his montage editing theory, but the same principle applies to Flipboard’s all-new ad unit: the Promoted Gallery. It lets marketers tell a story purely with images, which is especially desirable for brands with content that’s visual in nature such as catalogs full of product, lifestyle imagery or travel destinations. A Promoted Gallery is a fantastic way for brands to get even more mileage out of imagery created for social campaigns such as Instagram photos. They can elegantly combine multiple images into a single unit, and then run that unit as a native ad around related interest topics—much like our trusty Promoted Collection. Sounds simple, right? And it is, but the resulting experience is far more potent than the basic concept lets on. The juxtaposition of images that the Promoted Gallery enables allows brands to tap into the power that Eisenstein spoke of almost a century ago. The collision of the images within a single unit can be leveraged in multiple ways. It can be used to create a new idea. It can tell a unique visual story. Or it can reinforce the vibe and mood of a brand. Once you’ve collaborated with Flipboard’s Creative Lab to carefully curate and compose your gallery, we’ll help you target it to the ideal interests of your audience on Flipboard. Readers can tap and zoom in on any individual image in the collage with the ability to swipe through the entire collection while in that zoomed-in mode. The overall unit as well as each individual image can be assigned its own URL—perfect for creating a shoppable catalog-like experience. 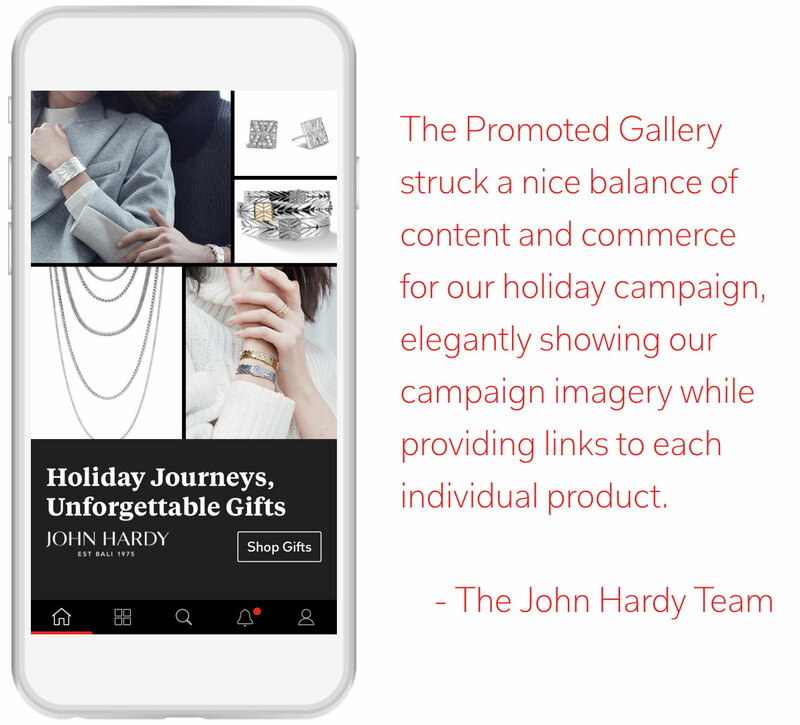 Best of all, we’ve learned with our Promoted Collection product that when you introduce an element of choice to a Flipboard user with multiple areas on which to tap, you get as much as 36 percent incremental lift in click-through rate. This principle helps propel the Promoted Gallery to become a beautiful yet hard working tool in the hands of our brand partners. 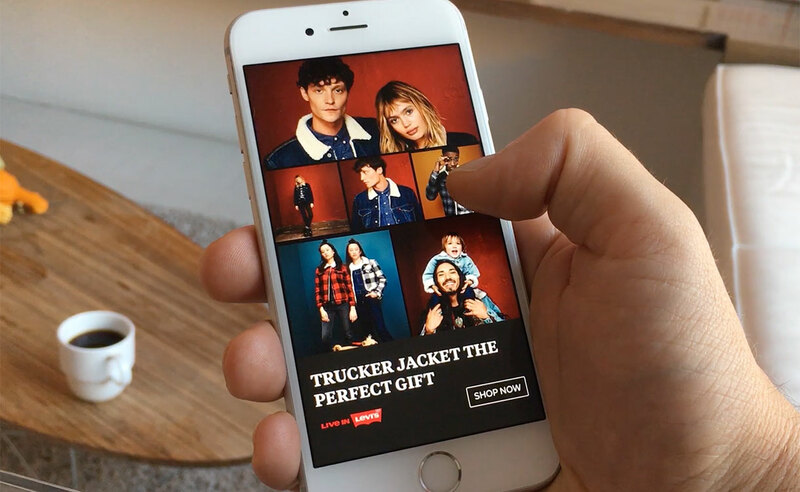 Levi’s, another brand to take advantage of this new unit, also utilized the Promoted Gallery’s visual storytelling and ecommerce capabilities just in time for the holidays. And let’s face it, ’tis the season for the Sherpa Trucker Jacket.